Vida Carpenter, age 88, of Stamey Branch, went home to be with the Lord on Saturday, January 19, 2019 at her home. A native of Avery County, she was a daughter of the late Jasper and Bessie Stamey Vance. Mrs. Carpenter was also preceded in death by her grandparents, including her very special "Granny" Jane Stamey; as well as her sisters: Selma, Sue and Georgia. 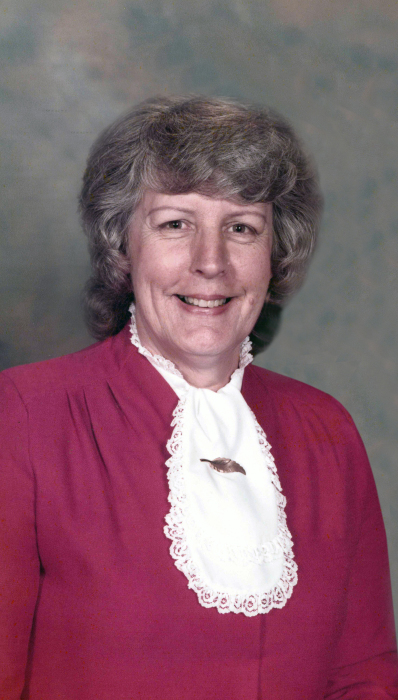 Mrs. Carpenter was a faithful and active member of Stamey Town Baptist Church, where she served as the Adult Choir Director, Youth Choir Director, WMU Director and other positions in the church. Fulfilling her life's purpose, Mrs. Carpenter was devoted Witness. It never mattered where she was or who she was with, she was always eager to share the word of the Lord. Mrs. Carpenter also loved to sing and often sang with The Trio, as well as her family, who would always be in matching outfits, and her voice could frequently be heard over the airwaves of WTOE. She also wrote for the Avery Journal's Stamey Town Community News for many years, making a name for herself through the sharing of local news and prayer requests. Mrs. Carpenter is survived by her loving husband of 71 years, Mason Carpenter; daughters: Katrina Cook and husband, Sam, of Spruce Pine, Masona Buchanan and husband, Eddie, of Spruce Pine, and Robbin Cassida and husband, Dale, of Drexel; grandchildren: Dené Allen and husband, Adam, B.J. Buchanan, Jennifer Gibson and husband, Israel and Marcia Hoilman; great grandchildren: Dakota Hoilman, Jacob Hoilman and Wyatt Allen; and siblings: Ted Vance, Hayden Vance and wife, Rosalie, Douglas Vance and wife, Pat, Joe Vance and wife, Linda, and Brenda Clements and husband, Don. Many nieces, nephews, and extended family members also survive. Funeral services will be held at 2:30 p.m. on Tuesday, January 22nd at Stamey Town Baptist Church. Rev. Steve Williams and Rev. Bill McGuire will officiate. The family will receive friends from 1:30 p.m. until 2:30 p.m. prior to the services at the church. Pallbearers will be Adam Allen, Israel Gibson, B.J. Buchanan, Dakota Hoilman, Jacob Hoilman and Wyatt Allen. Private burial will be at the Stamey Town Baptist Church Cemetery. The family would like to say a special thank you to Mrs. Carpenter's caregiver, Betty Weathers and to the Hospice of the Blue Ridge for all their care and compassion. Flowers are appreciated or memorial donations may be made to Hospice and Palliative Care of the Blue Ridge at 236 Hospital Drive, Spruce Pine, NC 28777 or to Linville Central Rescue Squad at 1940 Linville Falls Hwy, Newland, NC 28657.